Wildebeest herd grazing in open grasslands. On a beautiful warm morning, our guide headed us to some open grasslands as we drove out of our wilderness camp Kuetsani. 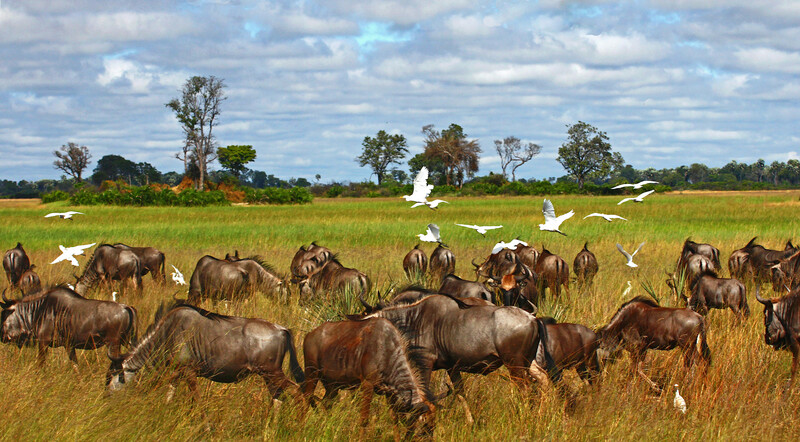 We came upon a large herd of Wildebeests peacefully grazing with white Cattle Egrets, who were enjoying eating what the Wildebeests stirred up. This photo opportunity made for a pastoral scene and a rather "painterly" photograph.